Okay, the National Hurricane Center has issued its 10am advisory and I've had a chance to look it over. Their forecast map is below. 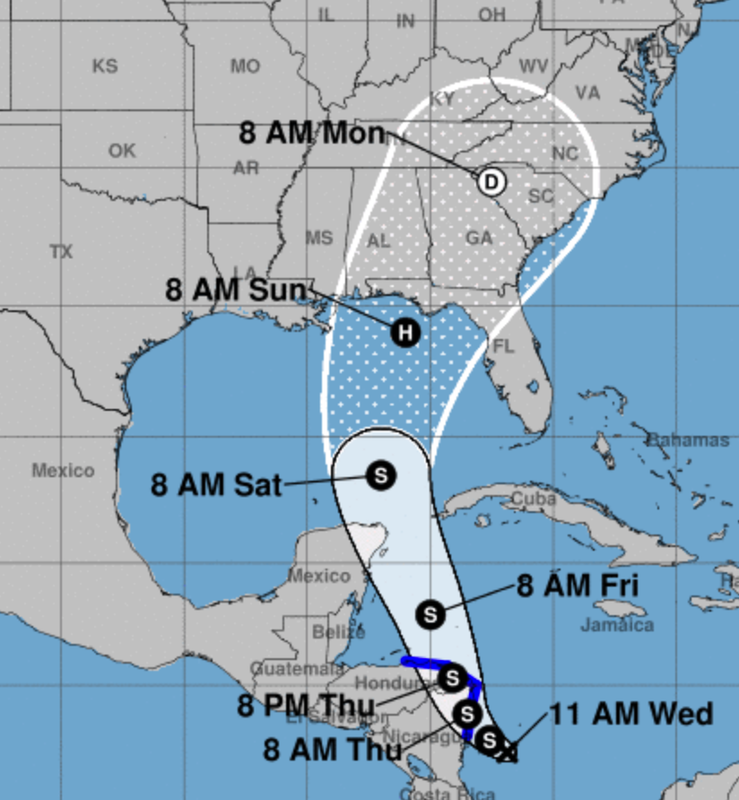 While the forecast shows a Hurricane Nate striking the Florida Big Bend area, that is a low probability forecast at this point. Please don't focus on the "H" ( = hurricane). Once the Hurricane Hunter aircraft is able to measure the area of low pressure this afternoon and we receive tonight's computer runs, we will be able to specify a possible path with much more confidence. 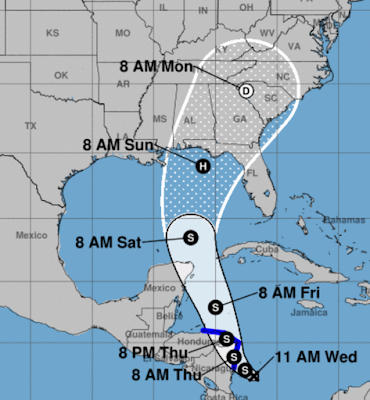 For now, I would consider the Gulf coast from Louisiana to Florida as candidates for landfall. As for preparation advice, it has not changed since my forecast below.